Future patent battles between Apple and Samsung could take an entertaining turn as Apple has been granted a patent on radial menus for touchscreen devices – using an illustration that bears a notable resemblance to the Air Command menu used by Samsung on the Galaxy Note 3. Lest anyone accuse Apple of copying Samsung, Apple first patented the menu approach back in 2012 – a year before Samsung adopted it. 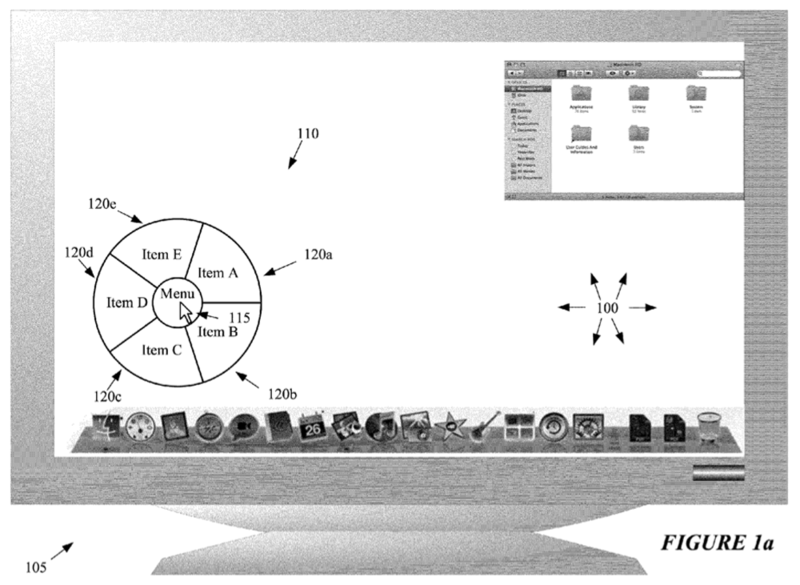 The reason for the second patent granted today is that Apple seemingly had in mind OS X rather than iOS when it first came up with the idea, illustrating it in a desktop environment. As ever, the fact that Apple has patented something provides no evidence at all that it will ever see the light of day in an Apple product – OS X or iOS. Apple plays around with all kinds of ideas and patents thousands of them, only a tiny minority of which are ever used.